Hibs face Queen of the South on the artificial surface at Palmerston Park tomorrow and Head Coach Alan Stubbs is determined to get back to winning ways after last Saturday’s 1-1 draw with St Mirren. Speaking to Hibs TV Stubbs said: “I think all grounds have got their attributes, as in hurdles to overcome. Palmerston’s biggest one you would say is the surface, but we know what it is. “We went there last season and we won one and lost one, so this season we’d like to improve on that and have a 100% record there – our form is decent going into the game. 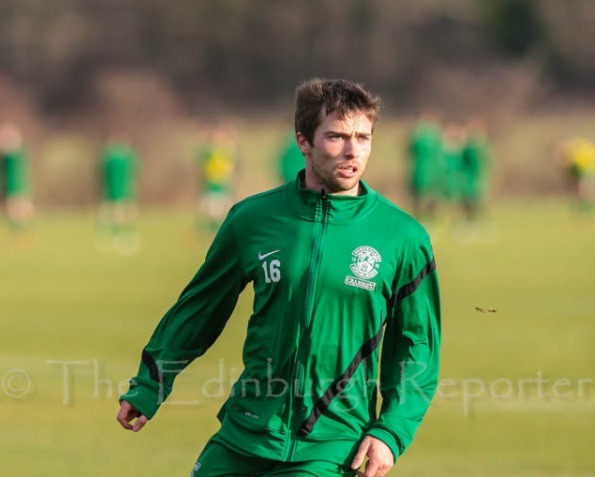 Stubbs’ comments were echoed by Lewis Stevenson (pictured) who has been in consistent form this season in the back four which has only conceded one goal in their last seven home games. Speaking to Hibs TV the left-back said: “It’s going to be tough, but I’m looking forward to it. We’ve had good games against them in the past and I think if we play like we normally can we’ve got a good chance at getting the three points.